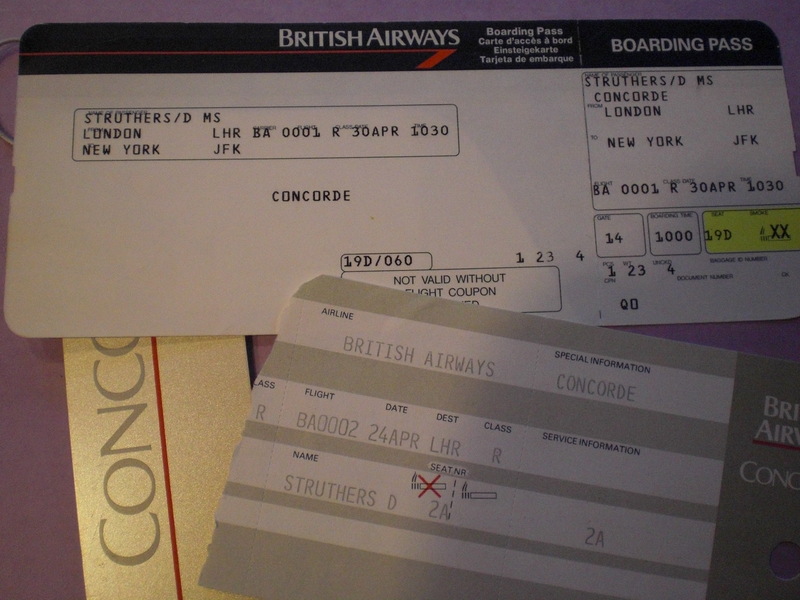 It is exactly 20 years ago this week that I flew British Airways Concorde back and forth from JFK toLondon. I don’t know what made me think of the anniversary. It’s not as if I was marking time to commemorate the event and waited patiently for the right moment. It just occurred to me today, of all days, and from there I went to check the dates on my certificate. My outbound flight was April 24, 1992 and I returned April 30, 1992. 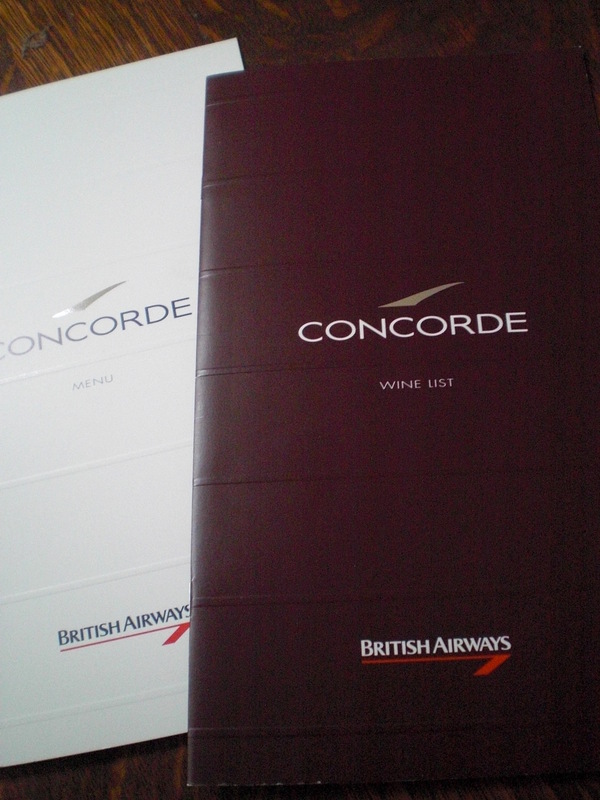 I kept a file of memorabilia, with menus, wine lists, boarding passes, stationary, luggage tag and a grey leather man’s wallet, embossed with the Concorde logo. Flight attendants handed a gift pack on every flight. I gave one wallet to my husband and the other I kept unused and in pristine condition. Gifts also included Belgian chocolates and grey leather portfolios. Grey leather was the signature of Concorde interiors. I took a couple of other ‘souvenirs,’ a tiny Wedgewood salt cellar, and the silver plated knife, fork and spoon from my dinner service. No plastic utensils back then. I still have everything. The Concorde is gone now and these are part of my treasured memories. I was traveling alone, having saved up frequent flier miles for this trip, one of my early bucket list items. Somehow, I expected to recognize several of my fellow passengers from the pages of magazines or movies, surreptitiously glancing around in the private lounge before takeoff to catch a glimpse of a familiar face. But it was not to be. I’ve seen more celebrities on the streets of Manhattan. 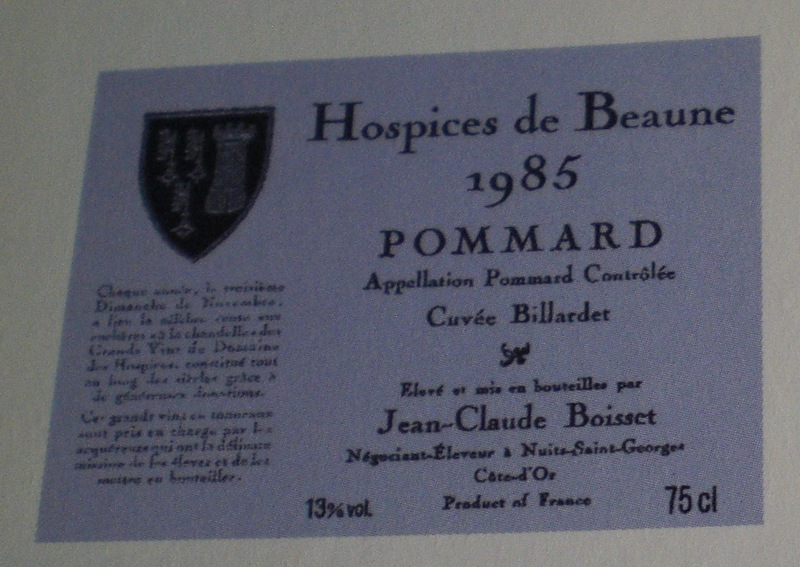 They all seemed to be businessmen, blasé regulars who buried themselves in newspapers as soon as they’d settled in, holding their glass up in a languid hand for refills. 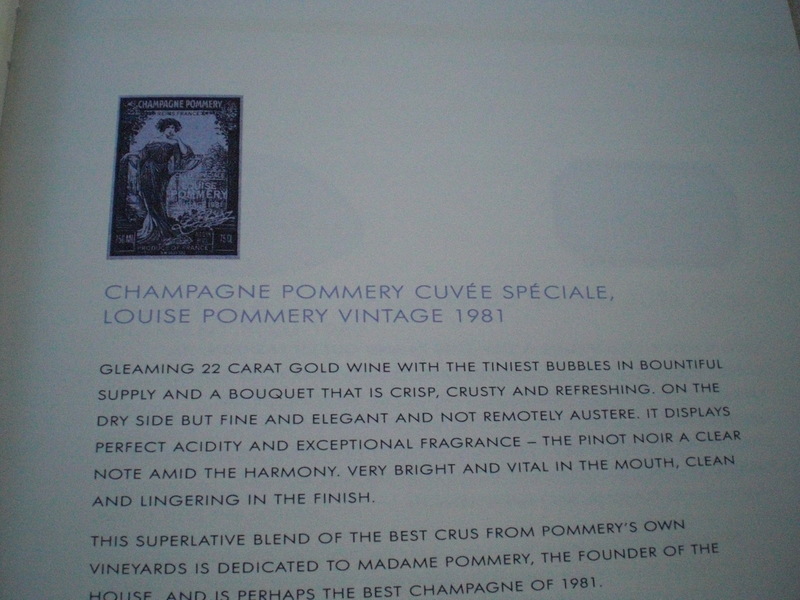 1992 was the start of my wine importing career and in retrospect I wish I’d had more exposure to vintage champagnes and fine Burgundies and Bordeaux before a trip like this, to truly appreciate them, but there is no doubt I appreciated the opportunity to samples wines of this range and caliber. There are those who will say that a plane going Mach 2 at 30,000 feet may not be the ideal environment for the palate, but I could think of no better ambiance for this experience! Great story, Deborah – truly something that no-one will ever experience again. I’m envious of your memory!